Starting Feb.1st, a new Sermon Series will begin on the Book of John. Please stay tuned for more information on how to get involved in a sermon-based small group study that fits your schedule. If you are interested in leading or hosting a group at your home, please speak to Pastor Curtis, Pastor Karen or Clayton Wiebe. Monday, Jan.19th, you are welcome to meet at 7pm in the fellowship hall at MPCC with the Zoerb family to see pictures and hear more about their recent trip to Zambia. Sunday January 25th - Pastor Ray Sider will share insight into the prayer of Jabez. 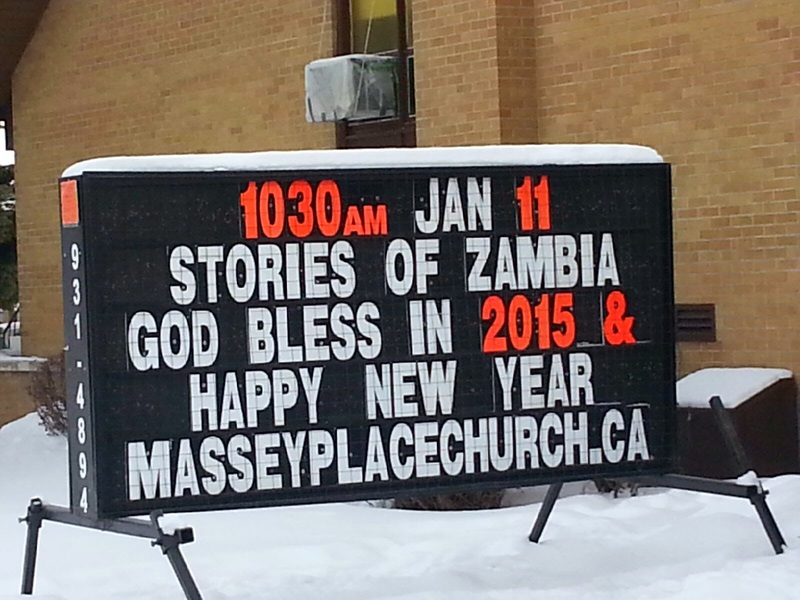 Massey Place Community Church Annual General Meeting after the morning service. A fellowship meal will precede the meeting. Please let us know if any links on this page do not work!